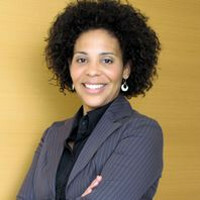 Dr. Knight’s research interests are primarily focused on race, gender and the labour market economy with a specific focus on entrepreneurship. She is currently working on two research projects. The first entitled “Diaspora Markets: Immigrant/Racialized Women Entrepreneurs and the Creation of the New Markets” where she examines how racialized women entrepreneurs negotiate the labour market, create new diasporic economies and hybridized forms of identity as entrepreneurs. Dr. Knight is also working on a three- year SSHRC project entitled “The Making of the Enterprising Self: Education, Subjectivity and Processes of Governance in Late Modern Society”. The project combines research objects including popular media sources on entrepreneurship, entrepreneurship training documents/curriculum, entrepreneurship/ business students’ and educators’ narratives in order to explore how entrepreneurship is socially constructed and how students “in training” are interpolated within the discourse of enterprise. She pays particular attention to subtexts of race, gender and class that inform and underlie constructions of entrepreneurship and the entrepreneur. She is also collaborating on a project looking at neoliberalism, state funding, and women’s organizations in Canada with Dr. Kathleen Rodgers at the University of Ottawa.